This is one story that almost took me by more of a surprise than it did the characters. After a semi-slow start, this book whirled me away into a captivating story of the unexpected and charmed the socks off of me. I often wonder if the world was made up of book characters, how many inhabitants would be perfectly perfect and gorgeous individuals. I loved that Cora and Adam weren't the most handsome of characters, but they each had intriguing qualities that really made them seem like your normal, average human being. Of course, their unique personalities really complemented one another and make them absolutely more attractive, especially because of their interactions with servants and each other. It seems that many Regencies have young ladies who are under their parents' thumbs and Cora isn't an exception. You would think her mother would be happy with any match, especially to a titled man, but that's not the case. She has foolish reasons for turning Adam away and really comes across as the "bad guy" in this book. I found Cora's fascination with horticulture endearing and Adam's dark, lurking ways appealing, especially when he makes up his mind about what he wants and the lengths he goes to in order to get it. 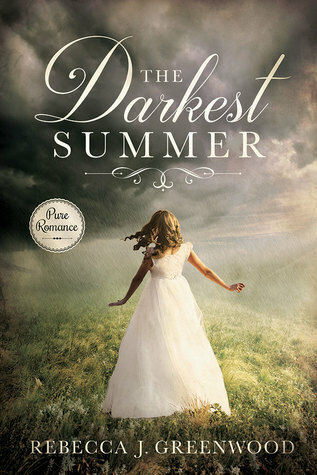 The secondary characters really add to the plot and although it's slightly darker in nature, it's still very compelling and a book worth reading, as it's not your typical Regency romance.